1931 - the L. Bąkowski, D. Chazan and Co. Kraków Glassworks is created at 3, Lipowa Street, the former site of the “Znicz” match factory. Qualified workers arrive in Kraków, mainly from Narewka and Białystok, where the company’s co-founders, Dawid Chazan and Leon Bąkowski possessed two other smaller glassworks. The glassworks on Lipowa was involved in the production of bottles (for wine and mineral waters) and pharmacy glass, employing from 300 to 500 people depending on the number of orders from the State Spirits Monopoly. June 1940 - the Kraków Glassworks is confiscated by the Germans. The property was managed until May 1943 by the Treuhand Verwertung G.m.b.H. company, when the lots and buildings were sold to the General Directorate of Monopolies (Generaldirektion der Monopole). 8 November 1945 - after the German forces withdraw from Kraków, the premises are taken over by the State Spirits Monopoly. 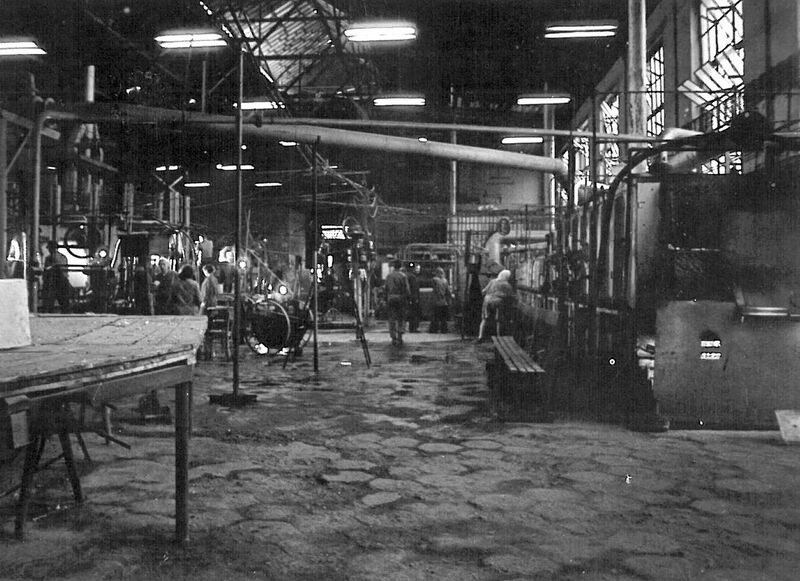 1 January 1953 - the glassworks pass into the hands of the governing body of the Glass Industry Union, which creates a new entity – the Kraków Glassworks, which also encompasses the Glassworks in Skawina and Wawel Glassworks on Zabłocie Street. 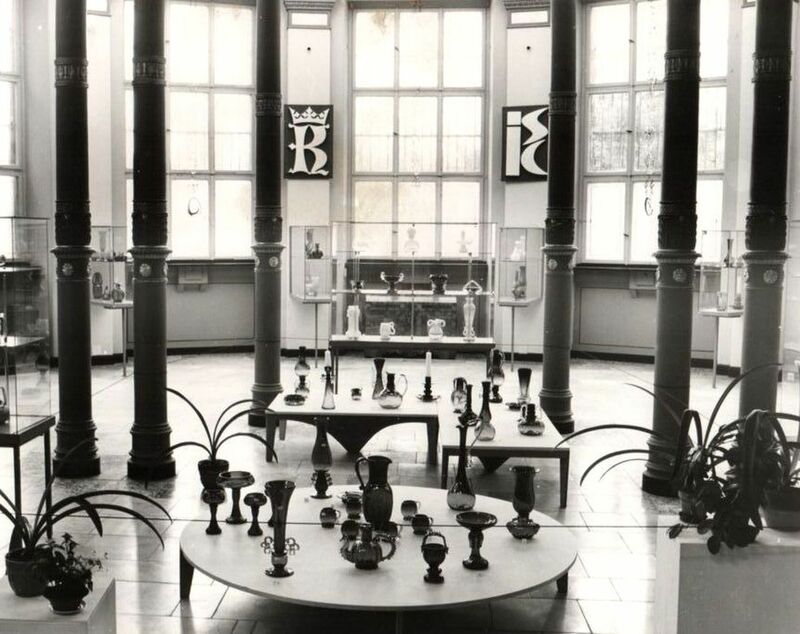 1962 - The Kraków Glassworks becomes the seat of the glass industry’s scientific research centre. Nine years later, the seat is combined with the glassworks, creating a research centre possessing significant production capabilities. 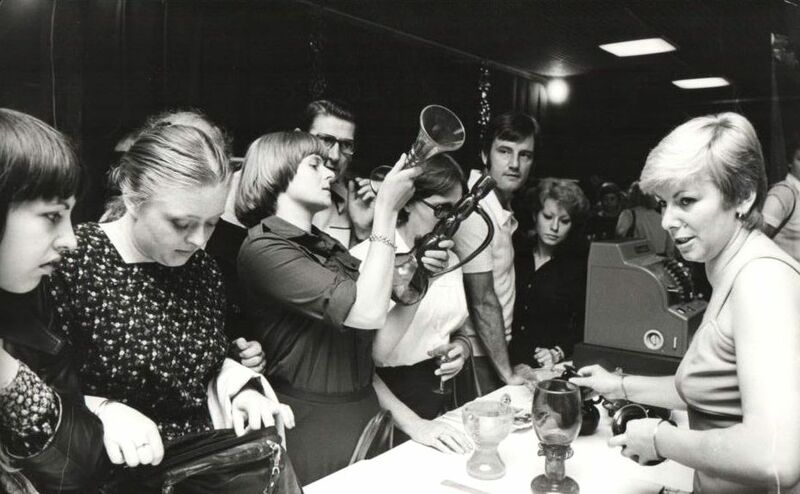 1972 - the Kraków centre becomes a branch of Warsaw’s Glass Institute. The 70s mark the branch’s greatest period of prosperity, when almost 500 people were employed at Lipowa 3. 1 January 2010 - the branch is combined with another Kraków scientific research unit – the Institute of Mineral Building Materials. Currently, the Glass and Building Materials Department of the Ceramics and Building Materials Institute conducts a wide range of glass research, including windshield certification tests and the production of ceramic frits and glazes, whitewashes, engobes and enamels. 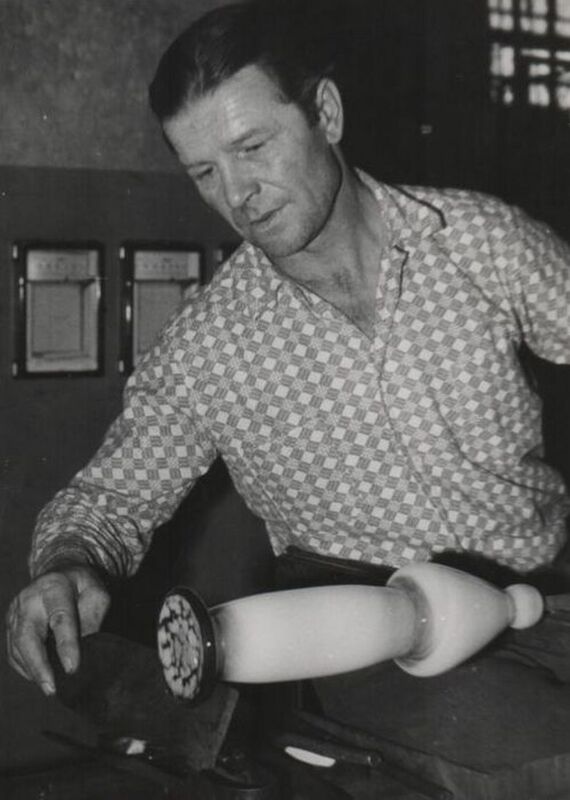 In 1969, the Industrial Design Plant was created at Lipowa 3 under the supervision of Jerzy Słuczan-Orkusz, one of the pioneers of industrial design in Poland. 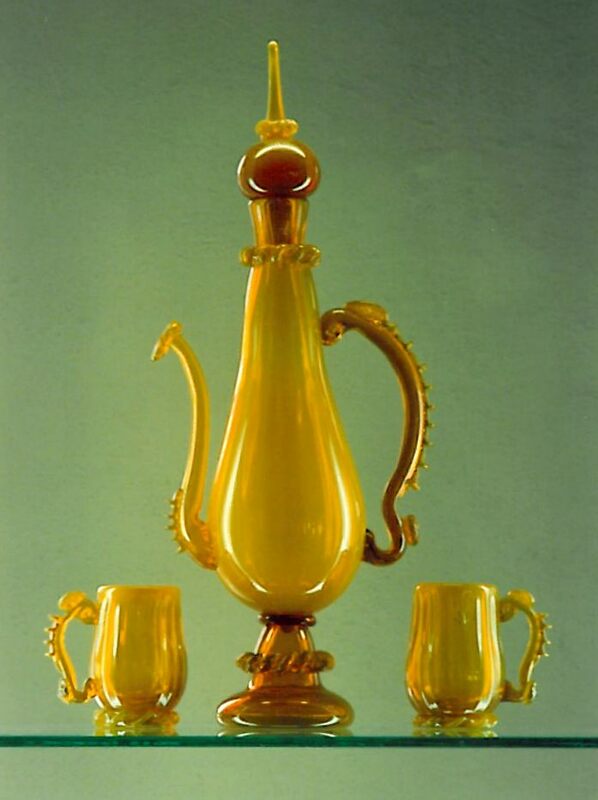 The Factory was engaged in the design of artistic glass pieces – including vases, chalices, goblets, amphorae, dishes, candlesticks and mugs – which alluded to historical forms through the use of elements such as ornate heat-fused ears and fancy lace designs and handles. The ideas of the designers (Michał Jakubas, Zofia Pasek, Marian Gołogórski, Barbara Świstacka, Monika Orkusz, and of course Jerzy Słuczan-Orkusz) were implemented using traditional glass tools by highly qualified glassworkers from the Experimental Plant. Beautiful original hand-moulded products from Lipowa, still being signed today with the recognisable image of a dragon blowing a glass bubble, quickly became popular in Poland and abroad. In Kraków, they could be purchased at the firm’s showroom on the Mariacki Square and the Desa galleries. At Lipowa 3, it was possible to visit the Industrial Design Plant, which gathered together a collection of forms produced at the Institute. Kraków artistic glass was also presented abroad, at the Polish Culture Information Centres in Germany, the Czech Republic, Bulgaria, Romania, the republics of the Soviet Union and Hungary. Apart from producing glassware, architectural glass was manufactured, which was used in the internal décor of such buildings as the Polonez Hotel in Poznań, Forum Hotel in Kraków, People’s Republic of Poland Embassy in Geneva or the Council of Ministers’ Recreation Centre in Zakopane. In 1972, the decision was taken at Lipowa 3 to create a Glass Tools Museum. This museum, which changed its name a few times (to the Glass Technology Museum and the Glass Tools and Equipment Museum), was supposed to be created outside Zabłocie, on Cegielniana Street in Kraków’s Łagiewniki district. The museum received its charter from the Ministry of Culture and Art in 1979, quickly accumulated a collection of historical glassware and glass tools and issued several publications. However, lack of funding and disagreements between the management and museum staff led to the work on the museum stalling. Almost two decades later, in 1998, it was decided, due to the poor financial situation at the Institute, to end production of artistic glassware, as it was beginning to make a loss. The history of Cracovian glass being made at Lipowa 3 drew to a close. The Lipowa 3 Glass and Ceramics Centre in part continues the activities from the 70s and 80s. By exhibiting historical glassware and glass tools, it aims to throw some light on the history and technology of the glass industry, with a special emphasis on the functioning of this industry in Kraków, at Lipowa 3. 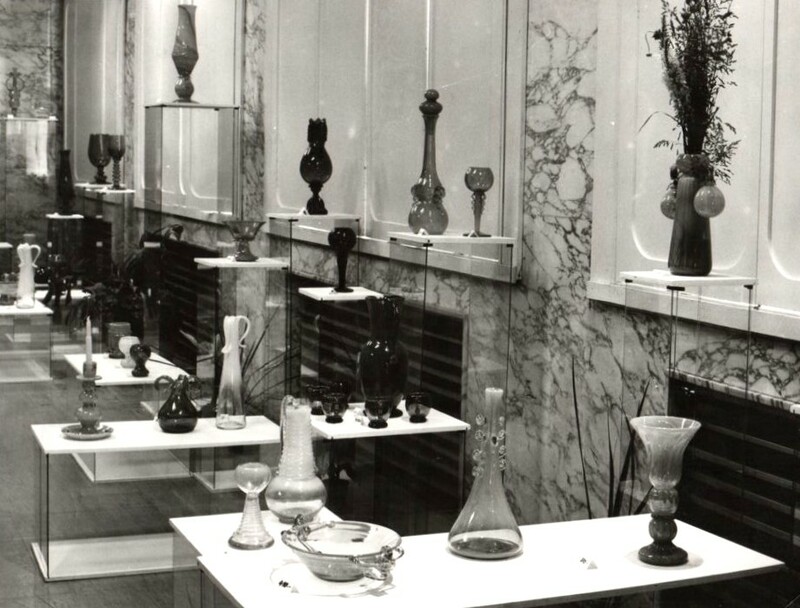 The displays of hand-moulded glass allude to the Institute’s earlier activities producing artistic functional glass.